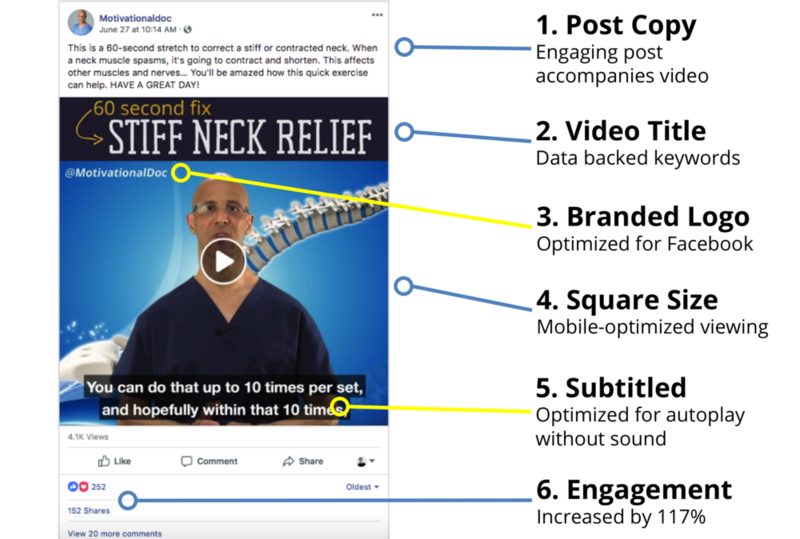 MotivationalDoc was built on a successful YouTube channel and wanted to improve engagement on Facebook by repurposing YouTube videos for the Facebook video content environment. MotivationalDoc and I worked together to identify EMEI video content that would add value to his Facebook fans. YouTube video content was then repurposed for Facebook. Each video was titled, transcribed and fit into a 1:1 square video format. A call-to-action was added to the end of each video to drive engagement and shares. Post copy was created to engage desktop users. I acknowledge that this form will be sent by email and any secure information will not be encrypted. Thanks for your confidence! I will be in touch with you shortly. See how we can help you grow using content marketing.